There are two great Will Allens in organic agriculture. One is a 6’7” former professional basketball player and founder of Growing Power in Milwaukee, the renowned urban agriculture training center. 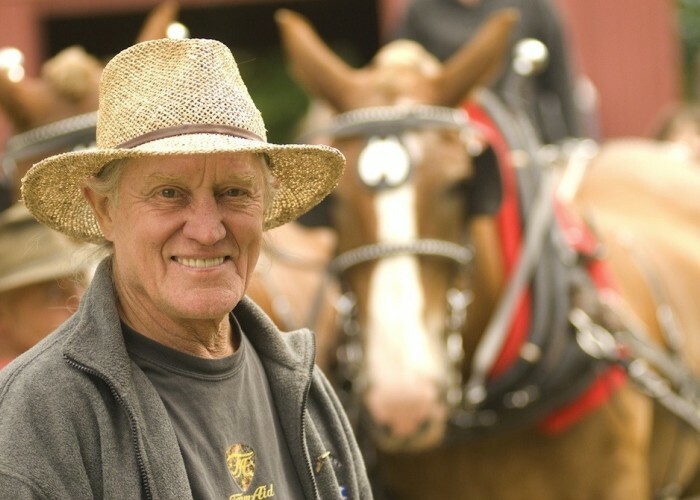 The other Will Allen is an organic farming pioneer and activist who started out as a professor at UC Santa Barbara, but was fired and jailed for his anti-Vietnam war activism. No longer able to work in academia, he took up farming following in his father’s footsteps. Will’s zeal for justice and reform was transferred to agriculture. He founded the Sustainable Cotton Project (SCP) in 1990, which helped farmers transition to organic while reducing farmworker exposure to pesticides. SCP created markets for organic cotton selling to major manufacturers like Patagonia, Esprit, Levis, Marks and Spencer, and Nike. Understanding that war creates more victims than heroes, Will became a founding member of Farms Not Arms (now the Farmer Veteran Coalition), which helps veterans heal from the trauma of war by training them for jobs in agriculture. Will moved from California to Vermont to farm and became active in the Vermont GMO labeling law campaign. He farms with his wife Kate Duesterberg on 40 acres, producing a diversity of vegetables and fruits, grains, oil sunflower, dry beans, and ornamental and cut flowers. The farm has a certified kitchen producing organic products, and an organic coffee shop. The Cedar Circle Farm educational program hosts over a thousand school kids each year. I sat down with Will at the 2016 Eco Farm Conference to talk about his work with Regeneration Vermont that promotes climate-friendly agriculture, social justice for farmworkers, stewardship of the natural environment and the production of healthy food. At the age of 80, Will is still a vital and transformative force, steadily pushing the food system to be more accountable, more in tune with nature and to be in service of human and ecosystem health. Listen to the excerpt of my interview with Will Allen below.